NASA has released a new image of Saturn’s moon Tethys. The image was taken at a distance of approximately 186,000 miles (300,000 kilometers) by NASA’s Cassini Spacecraft. With the expanded range of colors visible to Cassini’s cameras, differences in materials and their textures become apparent that are subtle or unseen in natural color views. Here, the giant impact basin Odysseus on Saturn’s moon Tethys stands out brightly from the rest of the illuminated icy crescent. This distinct coloration may result from differences in either the composition or structure of the terrain exposed by the giant impact. Odysseus (280 miles, or 450 kilometers, across) is one of the largest impact craters on Saturn’s icy moons, and may have significantly altered the geologic history of Tethys. 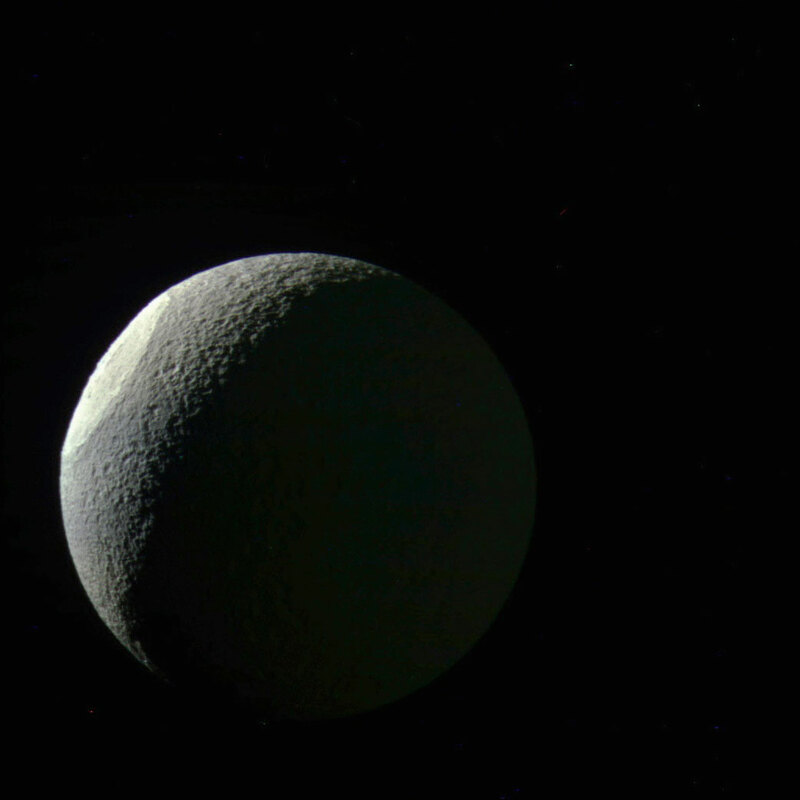 Tethys’ dark side (at right) is faintly illuminated by reflected light from Saturn. Images taken using ultraviolet, green and infrared spectral filters were combined to create this color view. North on Tethys (660 miles or 1,062 kilometers across) is up in this view. The view was acquired on May 9, 2015. Image scale is 1.1 mile (1.8 kilometers) per pixel. 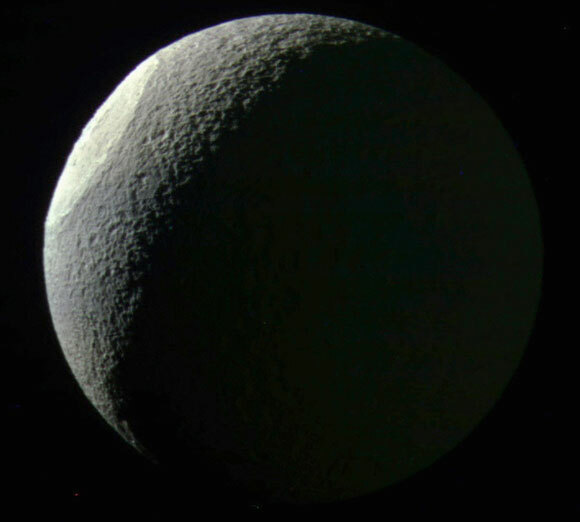 Be the first to comment on "NASA’s Cassini Views Saturn’s Moon Tethys"